With the completion of the Calgary & Edmonton Railway in 1891, a number of stations were erected along the rail line to accommodate the expanding agricultural population of the region. Next to several of these stations, the C & E subdivided townsites, several of which grew to some size. One of these was Lacombe, which was named after the venerated Oblate priest. In 1896, Lacombe was incorporated as a village, and, in 1902, it became a town with over 500 people, possessing most of the amenities required of a northern farming community. Mr. A.M. Campbell has completed arrangements for the erection of a modern building on the site of his present store…. The plan shows a well designed front, which will add greatly to the appearance of our main street. The new two-story brick store was almost a miniature department store, as it was anticipated to include hardware, clothing, dry goods and grocery departments, and also a millinery. It was a two-storey, red-brick building which featured a wide front facade accommodating two storefronts, eight large wood-framed windows on the second floor, and a bracketed cornice surmounted by a simple brick parapet prominently situated on two and a half lots. The Campbell Block still maintains strong integrity and retains most of its original features, in particular, design, location and environment that are sufficient to communicate its significance in a local context and as a contributing resource to the Town of Lacombe’s distinctive historic commercial downtown area. Its historical significance lies in its service as a general store, and hardware and furniture store since 1920. It has served the town and district of Lacombe ever since, concentrating in recent years on hardware and furniture. It ties in well with other main street structures nearby, providing a glimpse of life in large-town Alberta throughout most of the 20th century. In 2009, it was designated a Provincial Historic Resource. 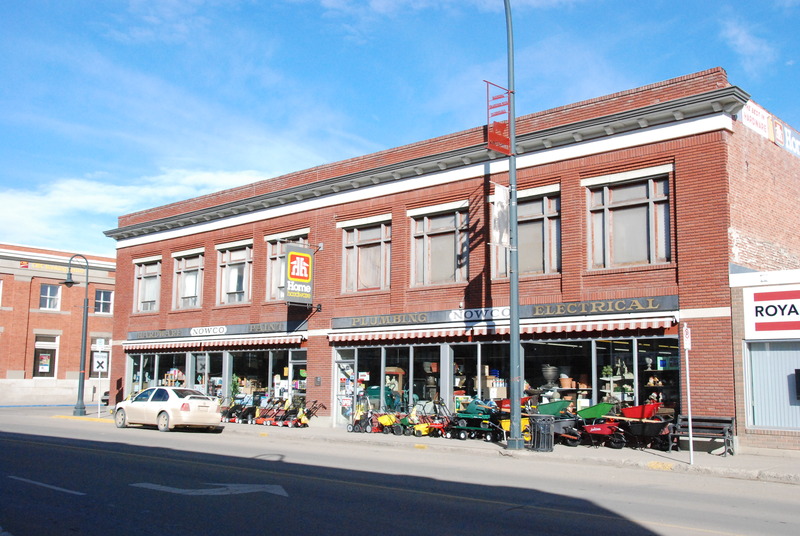 Visit the Alberta Register of Historic Places to learn more about the heritage value of the Campbell Block. In order for a site to be designated a Provincial Historic Resource, it must possess province-wide significance. To properly assess the historic importance of a resource, a historian crafts a context document that situates a resource within its time and place and compares it to similar resources in other parts of the province. This allows staff to determine the importance of a resource to a particular theme, time, and place. Above, is some of the historical information used in the evaluation of the Campbell Block. Last week we announced a contest to win an Annual Pass for Alberta’s Historic Sites, Interpretive Centres and Museum. Followers and new fans enthusiastically responded! Thank you to everyone – we were so pleased to read your feedback and very happy that many of you discovered RETROactive. Please, if you like what you read on this blog, spread the word! We received feedback from 38 individuals. All names were entered to win the Annual Pass. I am pleased to announce that Janice MacDonald was randomly selected as the winner. Congratulations, Janice! 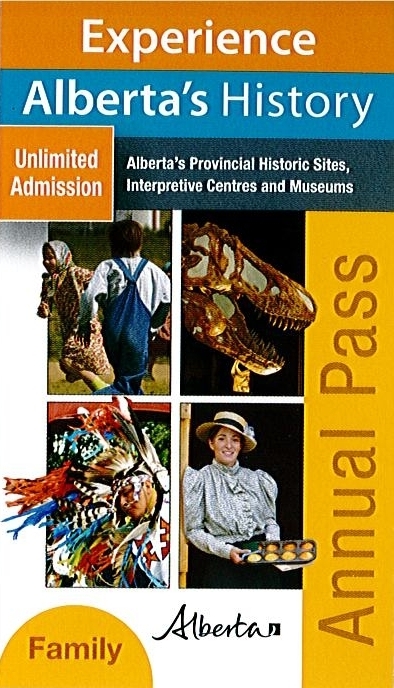 Please email me at: albertahistoricplaces@gov.ab.ca so that we can arrange for you to receive the annual pass. Thank you, again, to everyone that entered the draw. If you ever have a question about one of our blog posts, about heritage conservation in general or have a suggestion for a blog post, please do not hesitate to post a comment or email us at the above address. We would love to hear from you. On February 9th, I had the opportunity to lead a workshop for the Smoky Lake Heritage Board as part of a Municipal Heritage Management Plan. The project is a unique collaboration between Smoky Lake County, the Town of Smoky Lake, the Village of Vilna and the Village of Waskatenau. The management plan is the culmination of a multi-year project that has surveyed and inventoried hundreds of sites. 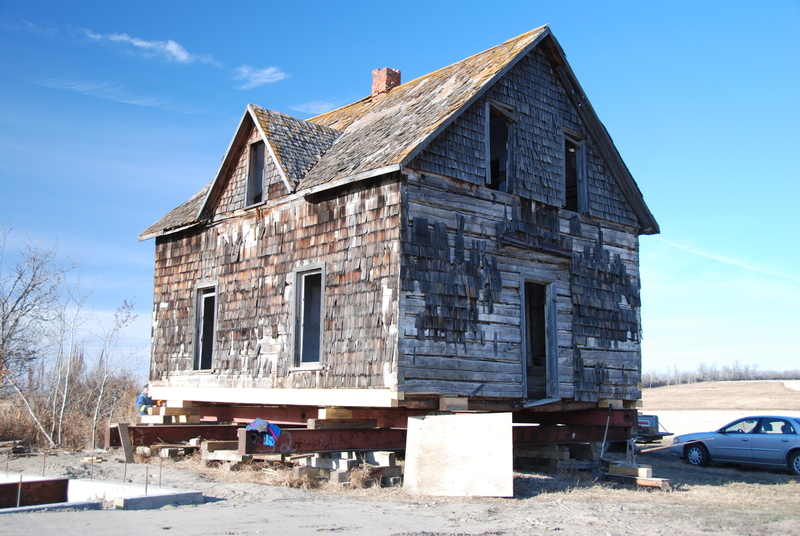 Conservation work being completed on the Anderson House, a Municipal Historic Resource located in the Victoria District of Smoky Lake County (November 2011). Smoky Lake is starting to think about how to protect and conserve their historic places. I spoke to board members about how to review Statements of Significance (SoS) to ensure they accurately reflect the values their community ascribes to a site. We then took a few hours to review some of the statements that they’re developing. Although municipalities can (and do) hire consultants to do historical research into historic places and draft Statements of Significance based on their opinions, it’s up to a community to decide if they value a historic place and why. Heritage value is subjective: what one community may value another community may not; what one resident may value, another may not. Neither position is right or wrong. A properly trained board, whose membership is interested in local history and that represents the community’s residents is crucial to ensuring that the community’s heritage values are accurately identified and explained in the Statements of Significance for any designated historic resource. We used a SoS checklist developed by Municipal Heritage Services staff to help committees decide if a Statement of Significance properly reflects a community’s heritage values. Municipal Heritage Services is available to give workshops for municipally appointed Heritage Advisory Bodies and municipal staff on a range of topics related to identification, evaluation and conservation of historic resources. Our Municipal Heritage Partnership Program (MHPP) can help your municipality plan a survey, to identify potential historic resources; an inventory, to evaluate potential historic resources for their significance and integrity; and then develop a management plan, to protect and conserve locally significant historic resources. If you would like further information about the services we offer, take a look at our website or contact Municipal Heritage Services staff. Today is RETROactive’s 1st birthday! We want YOU to help us celebrate! tell us what you think about RETROactive. Everyone who submits feedback will have their names entered to win a 2012 Family Annual Pass (with unlimited admission) to visit all of Alberta’s Provincial Historic Sites, interpretive centres and museums. How can I share my feedback? Submit a comment at the end of this post, write on our Facebook page, Tweet something to @ABhistoricplace or send an email to: albertahistoricplaces@gov.ab.ca. When will the winner be selected? All names associated with feedback received by 08:30MT, February 27, 2012 will be entered to win the Annual Pass. The winner will then be contacted to arrange for delivery of the Pass. On behalf of staff of the Historic Places Stewardship Section (a.k.a. RETROactive Authors), we would like to thank you for your support and continued interest in the conservation of heritage AND in creating a future for Alberta’s historic places! When the Canadian Northern Railway extended a line through Onoway in 1909, en route to Jasper and Vancouver, much of the rich agricultural land east of Lac Ste Anne was made immediately viable for homesteading. Even before the railway arrived however, and indeed even before the Dominion Land Surveys of 1904-05, a number of settlers had taken up land in the Onoway area. One of these was Thomas Sharman, who settled on NW34 TP52 R3 W5 in 1903, in a district soon to be known as Heatherdown. Sharman was born in Ireland and had come to western Canada from North Dakota, where he had been a stonemason as well as a farmer. He first attempted to homestead near Camrose, but was unsuccessful. Near Heatherdown however, he and his wife succeeded in proving up, and eventually they acquired five quarters. As he cleared and broke his land, Sharman made a point of salvaging pristine stones that inundated his fields. Being a stonemason, he had an idea that one day these would prove useful. By the mid 1920s, he decided to use these stones for a new house. With the help of his youngest son, Lawrence, and local neighbors, he designed and built a large dwelling utilizing the material he had salvaged. He moved into his new home in about 1927, and lived there with his wife until passing away a few years later. The house and the farm were then taken over by Lawrence Sharman and his wife, Florence, who died tragically in a fire on the farm in 1936. The Sharman House then continued to be occupied by Lawrence on his own until he moved to British Columbia in 1947. It was then acquired by Gordon Stewart, his wife Lenabelle, and their son, Lowell. With Lenabelle’s death, Gordon and Lowell continued to farm the land and occupy the house as bachelors. The historical significance of the Sharman House lies in its representation of the settlement of the Onoway area, and of the richness of the farmland in the district. It is also significant in demonstrating the inventiveness and craftsmanship of one of Onoway’s early settlers. Its heritage value lies in the excellent craftsmanship evident in its split fieldstone construction and the home’s picturesque aesthetic appeal. It is distinguished by its picturesque exterior, which is composed of different shapes and sizes of split fieldstone. Other prominent features of the home include a hipped roof with intersecting roof ridges, hipped wall dormers, three tall stone chimneys, and a two-storey bay projecting from the southwest corner of the building. The yard of the home includes a garden and mature evergreen trees north of the house dating from the period of construction. The Sharman House was designated a Provincial Historic Resource in 2007. 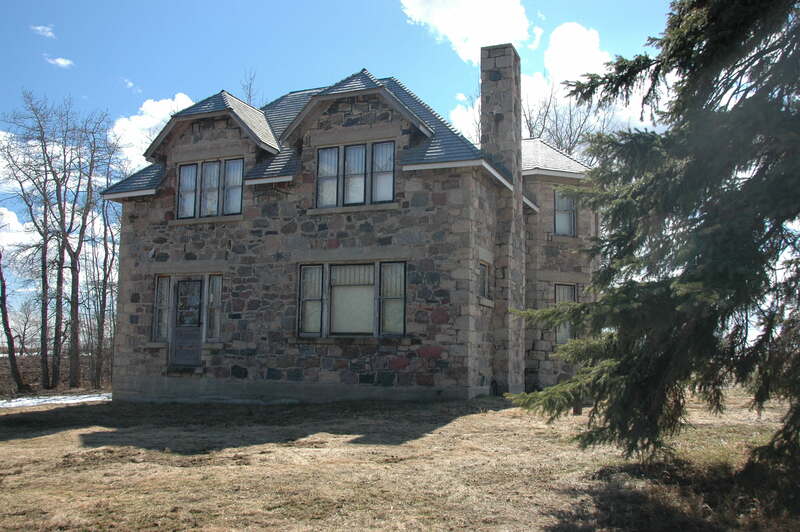 Visit the Alberta Register of Historic Places to learn more about the heritage value of the Sharman House. In order for a site to be designated a Provincial Historic Resource, it must possess province-wide significance. To properly assess the historic importance of a resource, a historian crafts a context document that situates a resource within its time and place and compares it to similar resources in other parts of the province. This allows staff to determine the importance of a resource to a particular theme, time, and place. Above, is some of the historical information used in the evaluation of the Sharman House. The Alberta Historical Resources Foundation’s (AHRF) Heritage Preservation Partnership Program has recently awarded total grants of over $630,000 to support projects for historic resource conservation, heritage awareness, publications and research projects and scholarship. 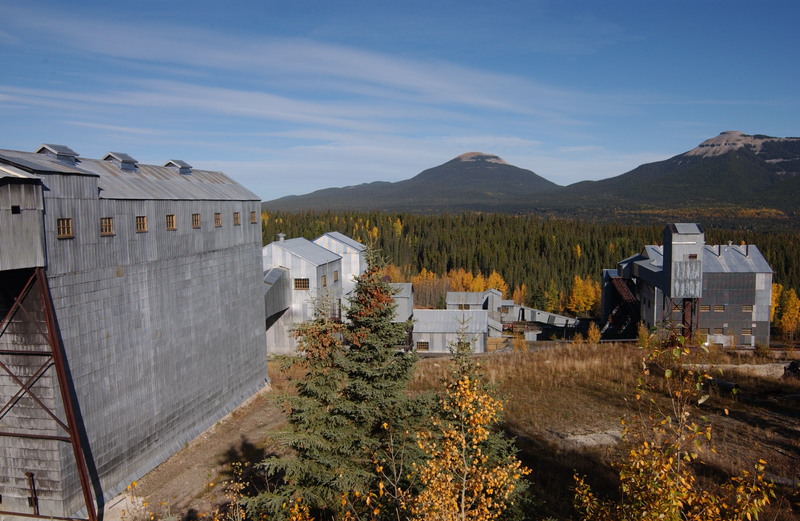 The Brazeau Collieries Minesite Provincial Historic Resource in Nordegg recently received a conservation grant from the Alberta Historical Resources Foundation. With an allocation from the Alberta Lottery Fund, AHRF is the Government of Alberta’s primary window for heritage preservation funding. To learn more about who has benefited from this program, click here. New Historic Places listed for the City of Lethbridge! the David James Whitney House. The City has been collaborating with the Municipal Heritage Partnership Program for several years to identify, evaluate, and protect Lethbridge’s significant historic places. They have developed a Heritage Management Plan, established a Heritage Advisory Committee, and Downtown Lethbridge is an Accredited Alberta Main Street community. 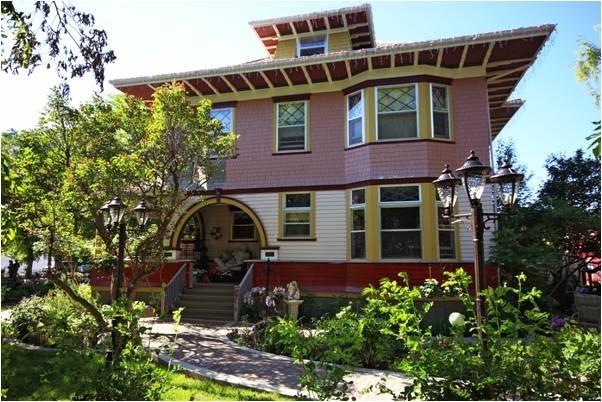 These three new listings complement the properties already designated by the City. Congratulations Lethbridge!